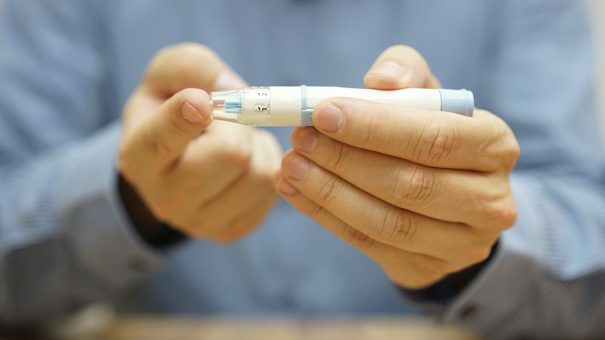 Roivant Sciences, led by biotech entrepreneur Vivek Ramaswamy, has signed a development and licensing agreement with Poxel for the development of a potential oral type 2 oral diabetes drug, imeglimin. Last year Roivant raised $1.1 billion from an investor group led by SoftBank Vision Fund to invest in drugs that have been abandoned by other pharma companies. Based in Lyon, France, Poxel started up in 2009 to develop imeglimin, a drug from a portfolio of unwanted drugs from Merck Serono. Since then Poxel has been working on developing the drug and has got phase 3 trials under way in Japan as part of a deal with Sumitomo Dainippon Pharma covering in Asian markets. Poxel says imeglimin is now ready for phase 3 development in the US and Europe and other countries outside Asia, which will be funded by the partnership with Roivant. Roivant will take over development and marketing costs, and Poxel will pay $25 million towards further development, with the companies deciding on a potential co-promotion should the drug get approved. In 2018, Roivant will begin planning differentiation studies to confirm imeglimin’s potential in sensitive patient populations, including those with chronic kidney disease, as well as manufacturing the drug for use in phase 3 development. The goal is to begin phase 3 trials in the US and Europe next year. Roivant will pay Poxel $35 million up front, and invest $15 million in the French biotech through newly-issued ordinary shares. If development goes well Poxel could receive up to $600 million in payments if it reaches a set of regulatory and sales-based milestones. Poxel will also get double-digit royalties on net sales. The first drug in a new class of oral agents called ‘glimins’, imeglimin has a unique mechanism of action that targets mitochondria, responsible for providing the chemical energy that drives cell metabolism. It acts on three organs that play an important role in anti-diabetic treatment – the liver, muscles and the pancreas. Studies conducted so far suggest potential glucose lowering benefits through increased secretion in response to glucose, improved insulin sensitivity and suppression of sugar production. It may also prevent endothelial and diastolic dysfunction, and protect survival and function of insulin-producing beta cells in the pancreas. There have been doubts over Ramaswamy’s strategy after the high-profile failure of intepirdine in January, an Alzheimer’s drug developed by another company that he set up, Axovant.